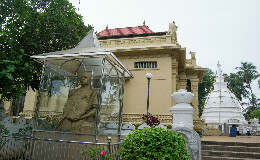 In the middle of chaotic greater Colombo, on the emerald waters of the Beira Lake, is the island temple of Seema Malaka. Arcade-Independence Square is located in Colombo 7 and is part of the process of beautifying Colombo. 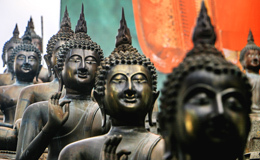 Sri Lankans love their food and Colombo is a great testament to that fact as the city features some fantastic options for the traveller to Wine and Dine. Located on the outskirts of Colombo away from the hustle and bustle of city life, lined by beautiful green paddy fields is the Bellanwila Raja Maha Viharya. 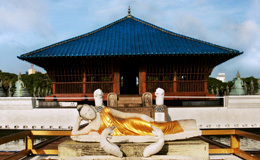 Easily accessible and situated along the road to Maharagama this temple holds a special place in Buddhist devotees of Sri Lanka. 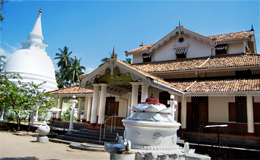 Built in the early 1900’s the Isipathanaramaya Buddhist temple was built in memorial to Edward Henry Pedris who was executed during the British colonial rule, by his father. It is situated very near the heart of Colombo in Havelock Town (Colombo 05). The temple is an often frequented site by both tourists and locals alike though for very different yet similar reasons. Some come to find peace in Buddhism while some come for the beauty of the place. Yet the art and setting of it is but in itself a declaration of the Buddhist way of life. Enjoying Sri Lanka's popular street food isso wade at Galle Face Green. 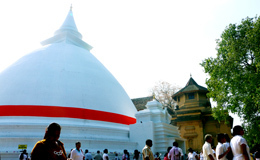 &COPY; 2014 VisitColombo.com. All Rights Reserved.